The presence of the Sacramento City College Davis Center at UC Davis West Village marks another milestone in a long partnership between the Los Rios Community College District and UC Davis. Over the last several years, the three higher education systems in California — community colleges, state universities and the UC system — have worked to smooth the path from two-year colleges to four-year universities for greater numbers of students. In July 2015, the University of California and Los Rios Community College District announced a pathway program for ten of the most popular majors in the UC system. The Davis Center is located on the Village Square at the heart of UC Davis West Village, an innovative mixed-use community that is the largest planned zero net energy development in the United States. Students from UC Davis benefit, too. They have the opportunity to take college courses that UC Davis doesn’t currently offer, such as Farsi and Korean. And they are able to take classes, such as accounting or computer-aided design, to supplement their UC Davis coursework. The 20,000 square-foot college center (the first of three planned for the UC Davis West Village site) houses 11 classrooms, a computer lab, an art studio, a career technology center, administrative offices and counseling space. It has earned silver certification for Leadership in Energy and Environmental Design, or LEED, a program of the U.S. Green Building Council. The Los Rios Community College District funded the construction of the $12.4 million center with bond proceeds approved by voters in 2002. Los Rios has rights to the land through a 65-year ground lease with the university. In response to its enrollment growth, Los Rios opened their second phase in 2018. The second building is a new three-story, 15,800 space which provides classrooms essential to STEM majors and flexible classroom space. The partnership between UC Davis and the community college district has pioneered previous programs that have become models for other UC campuses, including a transfer program that gives qualified community college transfer applicants written guarantees of admission to UC Davis. About 150 students transfer from Sacramento City College to UC Davis each year, more than from any other single institution. Prior to locating at West Village, Sacramento City College had offered classes in leased space in the city of Davis for more than a decade. Approximately a third of new undergraduates enrolling at UC Davis in fall 2015 were transfer students, and most of them came from community colleges. 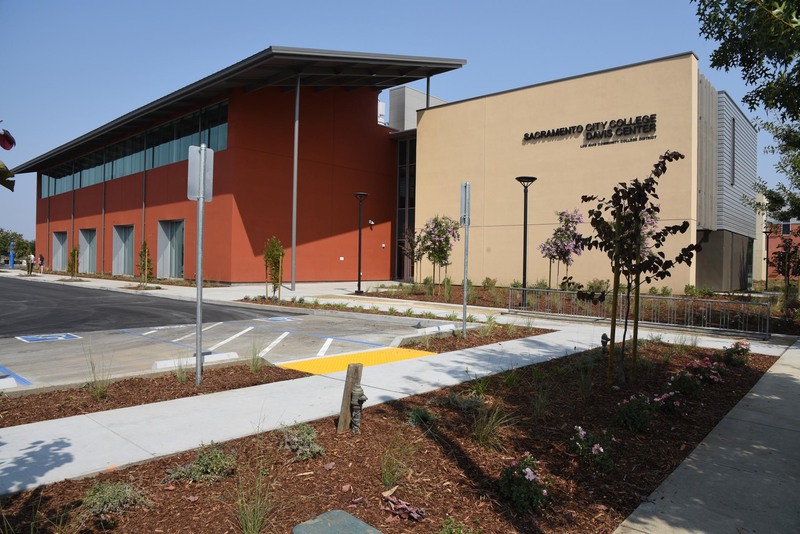 The Los Rios Community College District serves more than 75,000 students in Sacramento and El Dorado counties as well as parts of Yolo, Placer and Solano counties. It includes American River, Cosumnes River, Folsom Lake and Sacramento City colleges with major centers in Placerville, Davis, West Sacramento, Natomas and Rancho Cordova. The colleges offer a path to study at four-year colleges and universities as well as associate degrees and certificates in more than 70 career fields. The first community college center built on a University of California campus. Accommodating about 2,400 students, classes began in January 2012.